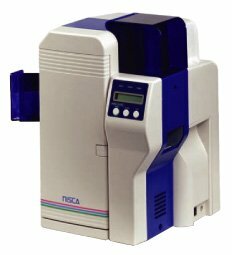 Team Nisca PR5300, PR53LE, PR5350, PR5310 ID Printers - PFS / Photo Finishers Supplies Inc. 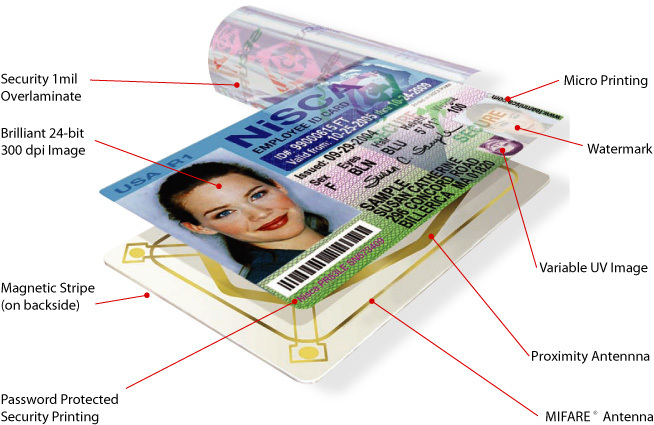 The most common security features on today’s ID Cards are custom and generic holographic over-laminates, pre-printed micro- or nano-text on cards, and embedded holographic images on the card surfaces. Experts in security printing all agree that the more security features that are in a document, the less likely that document will be counterfeited. In an ideal situation, every ID Card printed would have at least three security features. • Password protected variable resin or UV printing allowing the automated printing of the printer’s serial number, printer’s model number, date of printing, and variable demographic data. • Smart Card features include Contact IC Chip and RFID fromHID, MIFARE, and Legic technologies. Nisca is committed to the protection of human health and prevention of pollution by taking into consideration the complex and interconnected relationship of our ecosystem. The company maintains management systems designed to ensure compliance and support integration of Environmental, Health, and Safety (EHS) considerations into its business process. Nisca’s dedication to and leadership in meeting the EHS government requirements are evident in the recent renewal of its ISO 14001 Environmental Management System (EMS) Standard certification. Today the printers sell on their strong reliability, excellent price point, and brilliant image reproduction. They feature a two-year warranty, assuring a safe investment for your identification card printing needs. and standard corporate identification cards. Easy to install USB drivers that are compatible with the latest Windows operating system. 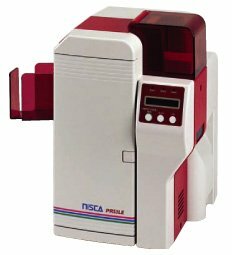 Ideally suited to education, corporate, transportation, and emergency services, the PR53LE provides the best combination of reliability, print quality, and warranty coverage in the market today. no-charge to allow for easy integration of the necessary commands. • Philips Corporation’s MIFARE® Smart Card technology All modules are integrated into the printer for seamless printing/reading/encoding functions. A software development kit is available from Team Nisca at no-charge to allow for easy integration of the necessary commands.